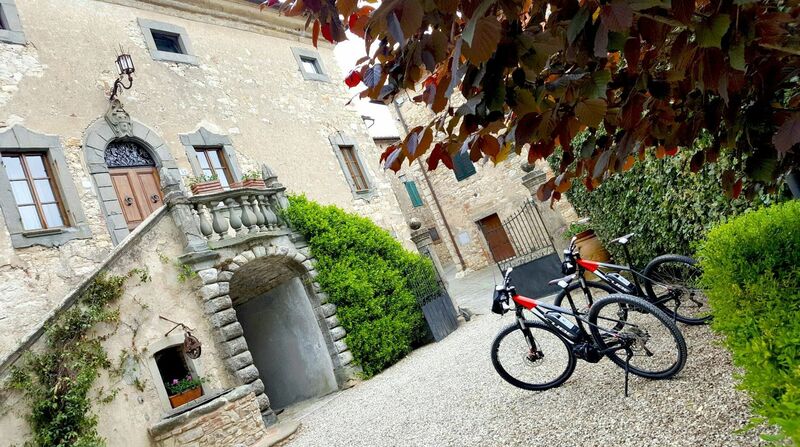 An e-bike might be just the thing for you on your next visit to Tuscany. 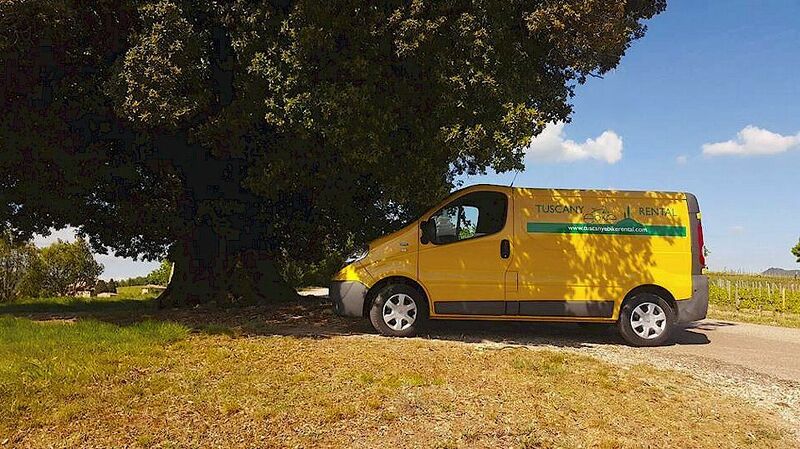 Everyone knows that there is a wonderfully scenic world outside the art cities of Tuscany - and everyone also knows that one reason it's so scenic is that it's hilly! For the young and/or fit, a mountain bike is ideal for exploring Chianti, and all through summer, especially on weekends, you'll see hundreds of very fit men (yes, 99% men) streaming along the Chiantigiana on racing bikes. 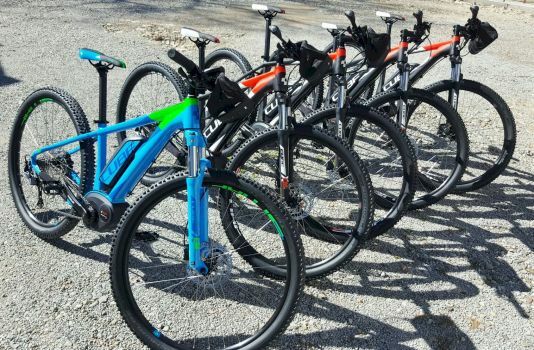 For everyone else, even if you have no experience of e-bikes, these power-assisted bicycles are perfect. On downhill slopes, they work like a conventional bicycle and store electricity. On long, flat runs or uphill, the electric motor cuts in and provides all the assistance you need to reach your destination without breaking into a sweat. An e-bike allows you to cover much more territory than you could do on foot, and at the same time you still experience the fresh air and tranquility of the Tuscany countryside and Chianti in particular. You can stop off to photograph a panoama or an antique tower house, or stop for a snack whenever you wish. In addition, you can often ride your bike where cars cannot go for one reason or another. 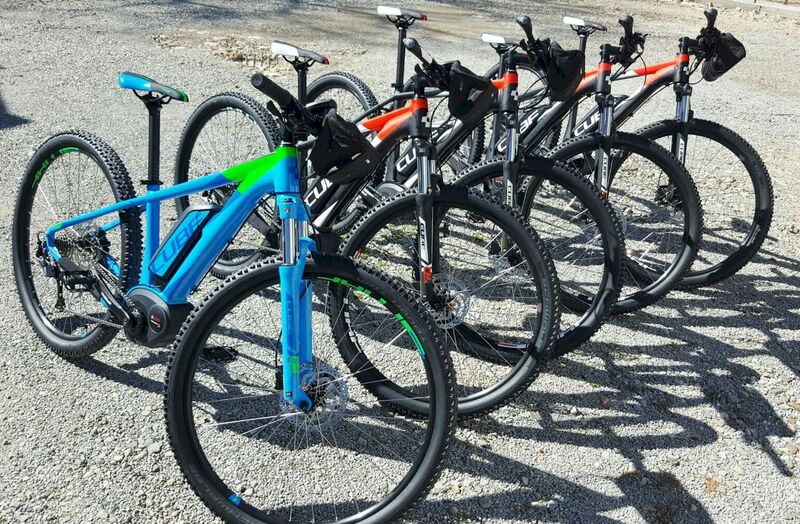 We rent ebikes by the hour, half day and day, as well as for multiple days. We rent and sell helmets, gloves, GPS and other useful equipment. A Renault Trac van is available for transport of baggage, technical support during your excursion and for general assistance furing a lengthy tour. We also offer private guided e-bike tours. Minimum rental one hour. After one hour, the price as for a half day (4 hours). For longer than 4 hours, the price is as for one day (8 hours). If you rent for 7 days, you pay for six days only. Guided e-bike tours cost € 125 per half day (4 hours) and € 185 per day (8 hours). or make use of our e-bike information request form.